14K yellow gold snake brooch / pendant. 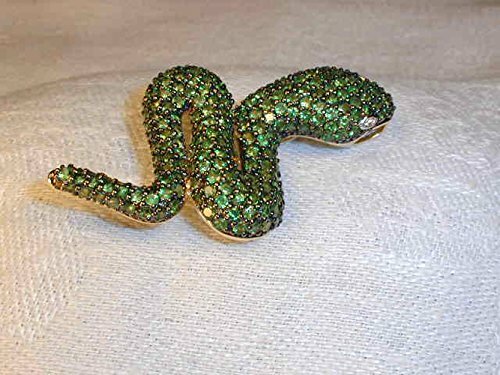 There are numerous tsavorite stones covering the body and 2 diamonds as the eyes of this snake. All gemstones are natural. The total weight of the tsavorite stones is about 5.8 carats. The brooch measures 2 inches long by 1 & 1/8 inches wide. It weighs 11.6 grams.